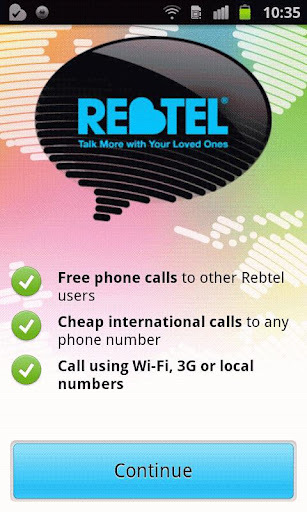 Call friends and family that use Rebtel for free and everyone else for some of the world’s lowest international call rates! *** Why Should You Use Rebtel? 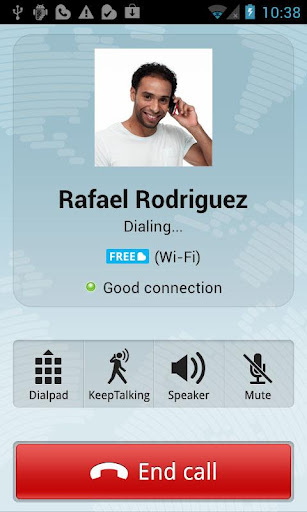 *** ✔ Free Rebtel to Rebtel Calls More than 17 million people use us to call their loved ones for free over Wi-Fi/3G with crystal clear voice quality. * ✔ Call Everyone Else for 98% Less** Call landline phones, feature phones or anyone else abroad that doesn’t have Rebtel too. To try for free — you automatically get 5 free minutes when you sign up. ✔ Send Low Cost International SMS Text friends and family in more than 150 countries. Like regular SMS, only 60% cheaper. ✔ Keep Talking without Data Call breaking up? Tap the Keep Talking button and move from Wi-Fi/3G to a local phone call at no extra cost. *** ✔ Instantly Find Friends Rebtel works with your regular address book and shows you who’s already using our apps and can be called for free. Inviting more friends is super easy!